For those who dream of days spent among fragrant roses in the English countryside, walking in the lush garden in the shade of a wide-brimmed straw hat there is only one appointment to mark on the agenda. 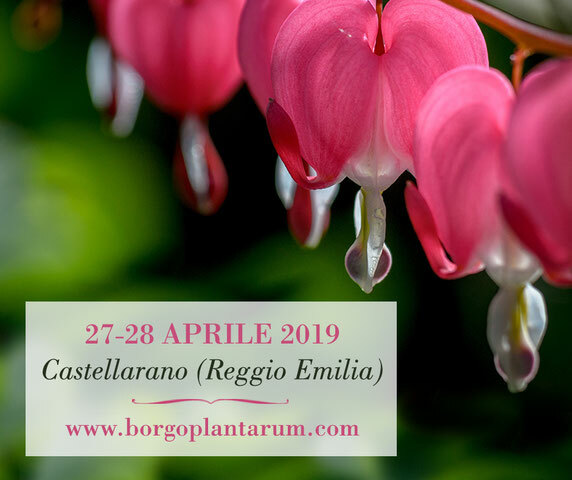 Let's talk about Borgo Plantarum, the small, exclusive event dedicated to plants and flowers held for the third year in Telarolo di Castellarano (RE). Set up in a delightful old town and cared for by the garden designer Carlo Contesso - formerly the pen of Gardenia and Corriere della Sera - Borgo Plantarum proposes the best nurseries in Italy, a highly selected rose of exhibitors with plants, flowers, bulbs, furniture and objects for the garden. Far from the idea of the great trade fair, Borgo Plantarum is loved by its admirers for the atmosphere, the warmth and beauty of the location, a dream garden in the lush hills of Reggio Emilia and Modena. The most expert gardening lovers will be able to wander among rare orchids, unusual aquatic plants, fragrant aromatic and unusual perennials, without forgetting the more classic, but very varied, roses, azaleas and hydrangeas. Those approaching the passion of gardening for the first time will instead have the opportunity to use the valuable advice of nursery owners to choose plants suitable for beginners, or suitable for less "classic" spaces, such as balconies, greenhouses, orchards or apartments. This philosophy also includes the numerous events dedicated to collectors, enthusiasts and the curious, as well as the relaxation area, where you can enjoy local delicacies or drink a glass of wine in the shade of greenery. Finally, Borgo Plantarum does not forget the small "gardeners" to whom a children's area is dedicated: children aged 4 to 12 can access it and will be open throughout the event. Here children and teenagers will have the opportunity to learn how to make fruit and vegetable works, make small themed items, make perfumed bags made with natural essences. And of course, cultivate your own vegetable garden. EXHIBITORS: an incredible selection of shrubs, perennials, orchids, camellias and peonies. Without forgetting vegetables and herbs for the garden. Many are the novelties of the 2019 edition of Borgo Plantarum, all focused on rare and unusual shrubs. To introduce visitors to the native and classic varieties will be the Nifantani Liviana Nursery with a setting that is a real journey into the world: from the East the showy blooms of Cornus kousa 'Akatsuki', from Europe the fragrant varieties of Lilac Syringa vulgaris 'Andenken an Ludwig Spath'. Back at Borgo Plantarum the team of I Giardini Dell'Indaco with an incredible selection of perennials: from the purple feathery inflorescences of Salvia schwellenburg to the more classic bluish shades of Salvia transsylvanica, up to the highly sought-after shade plants, to enhance the more “difficult "Of the garden, like ferns and ground cover. Do not miss the splendid Ranunculus aconitifolius 'Flore Pleno' already winner of the Royal Horticultural Society's Award of Garden Merit, to be paired with Iberian iris and Trollius x cultorum ‘Cheddar’ and the popular Epimedium grandiflorum ‘Lilac Fairy’. Cysts, Verbascum and Malvacee will populate the corner of the Centroflora Nurseries dedicated this year to arid gardens or reduced water requirements, to obtain generous blooms even in the most problematic soils. Combined with steamy grasses, the Centroflora selections are a valid answer for green spaces with scarce resources, inspired by the concept of an evolved garden. A touch of exoticism comes from Treviso with OrchisMundi, the most well-stocked nursery dedicated to Italian orchids. On display are numerous tropical orchids, in particular species and primary hybrids of Paphiopedilum (shoe of Venus) proposed exclusively on April 27th and 28th in Borgo Plantarum. Unusual fruits and tropical plants and flowers will also be offered by Dennis Botanic Collection. Among these, the Prunus carmine ‘jewel’, a small cherry tree with a black fruit and a unique taste, particularly loved for its very high antioxidant content, deserves a note of honor. Finally, there will be the great classics: disturbing Rhododenters and romantic Camellias of Vivai Rhododendron, silky Peonies of the Nurseries of the Commande, fragrant Antique Roses and sparkling modern hybrids of the Vivaverde Nursery, cacti and succulents. And for garden lovers? Hundreds of ancient varieties recovered and spread by the skilled hands of the Gramaglia Brothers Nurseries, unique curators of an immense botanical heritage made of vegetables, spontaneous and healing herbs from past centuries, accompanied by a selection of edible flowers, to the delight of the eyes and the palate . The calendar of events of the two days of Borgo Plantarum is rich, dedicated to collectors, enthusiasts and gardeners "novice. From the Photo Workshop created in collaboration with Obiettivo Natura and Il Torrione to learn the rudiments of nature photography to the Photographic Hunt, a journey through the green in search of clues, up to the Botanical Excursion (in collaboration with Prato Bontà e Salute and Erboristeria Fresia) , a walk to discover edible wild herbs. Do not miss the conferences: one dedicated to trees as a monument and patrimony of Emilia with prof. Ugo Pellini, the other one held by Mara Ferrari on "The lazy garden", small daily practices to work less and enjoy only the beauty of your own green corner. 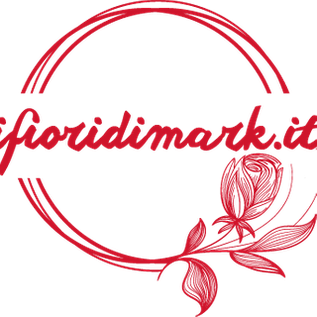 There is also a wealth of themed books and meetings with the author with the participation of Eliana Ferioli, Simona Ventura and Giordana Arcesilai, Maurizio Vecchia. During the two days it will then be possible to visit the Borgo Plantarum exhibitions, which this year focus on the world of bonsai, with an exceptional selection curated by Helen Club Bonsai but also on botanical watercolors (by Simone Ciocca), farmyard chickens ancient (by Elena Zanni) and signs of nature (edited by Massimo Lanza and Silvia Pecora). Admission: full 6 euros. Free entry up to 12 years. Free parking.